Yes, you read that correctly. 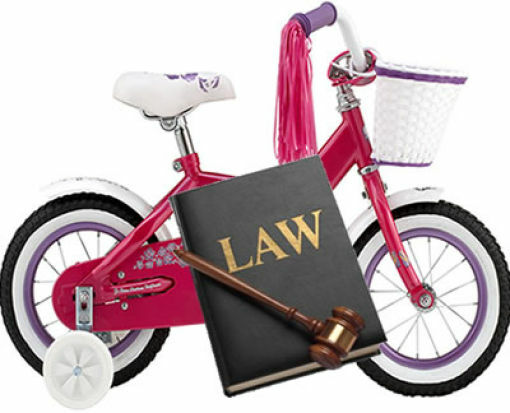 A four year old was sued in a class action suit. When Jacob Kohn and Juliet Breitman raced down a public street on their bicycles they ran over an 87 year old woman, knocking her down, fracturing her hip. Claire Menagh had to have surgery and three weeks later she passed away. The children of Claire soon sued the children and their parents citing negligence. It didn’t take the Judge long to decide that even though Juliet would be 5 soon that she was old enough to be sued for negligence. Learn Something: Danish Law states: Restaurants may not charge for water unless it is accompanied by another item such as ice or a lemon slice. Those kids are my heroes. america ... i wonder when they are going to sue animals. A few days ago i fell and hit my head on a rock. im thinking about sueing the rock for laying around..